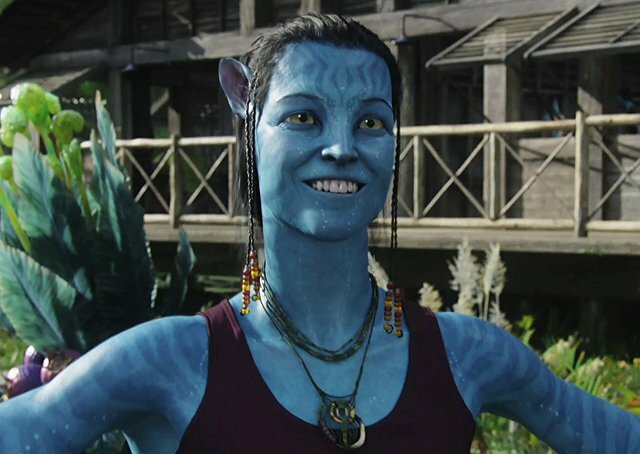 We then asked if she’s been a part of any of this “experimentation” phase in the development of the Avatar sequels. Earlier this year, 20th Century Fox revealed that the first Avatar sequel is expected to hit theaters in December 2018 and would be followed by three more films in December 2020, December 2022, and December 2023. Confirmed to feature the return of cast members Sam Worthington, Zoe Saldana, Stephen Lang and Sigourney Weaver, the Avatar sequels will be produced by Cameron and Jon Landau through their Lightstorm Entertainment. The sequels are written by Cameron along with Rick Jaffa and Amanda Silver, Josh Friedman, and Shane Salerno.